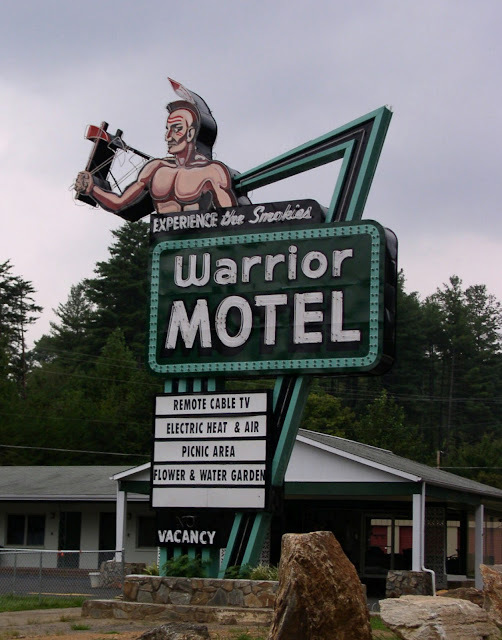 Cherokee, NC is a classic American tourist destination. 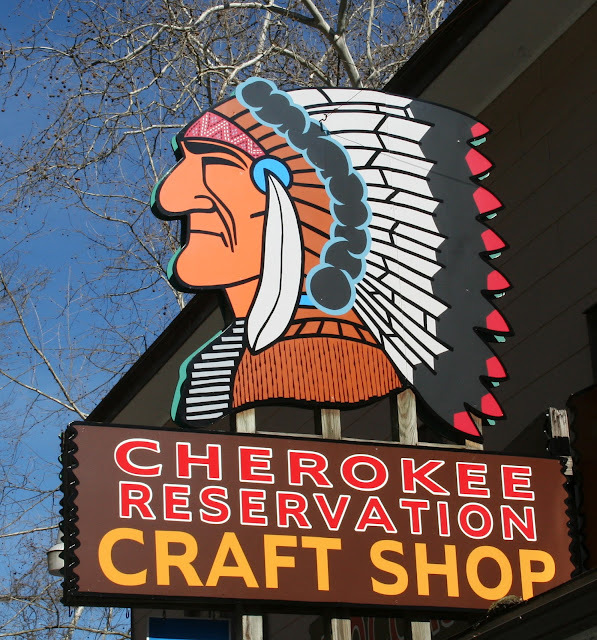 Ever since the Great Smokey Mountain National Park was created in the 1930s, Cherokee has served as it gateway. 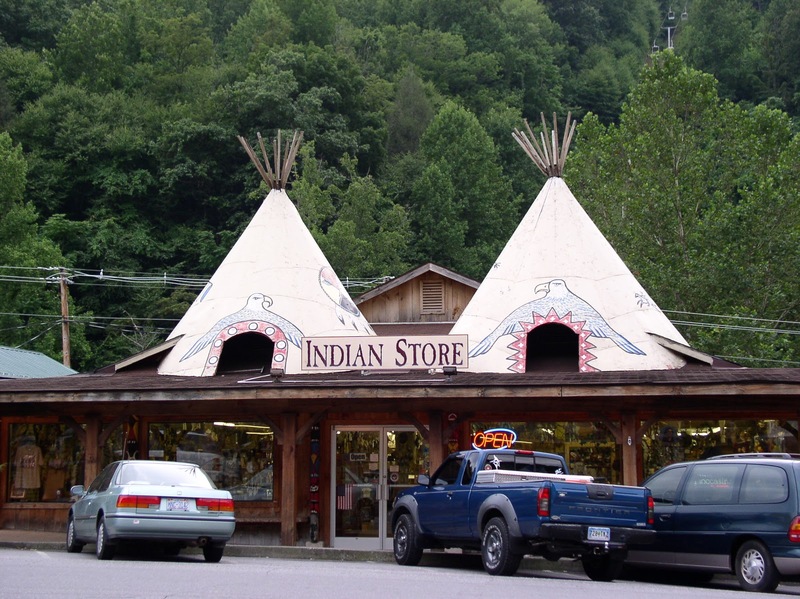 For those of you who are not familiar with the area, Cherokee, NC lies within the Qualla Boundary which is often referred to as a "Indian Reservation". 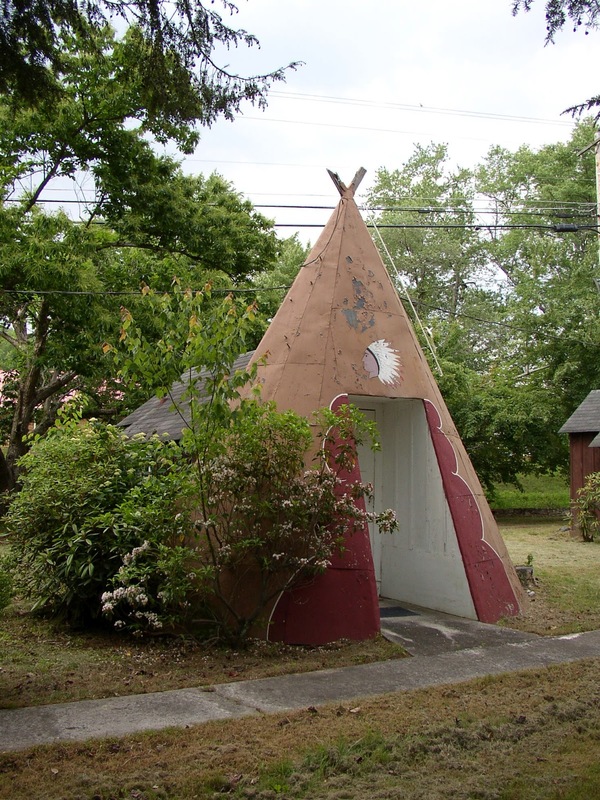 Technically it is not an Indian Reservation, but a Native American Land Trust. Just don't tell the guy that made the sign. 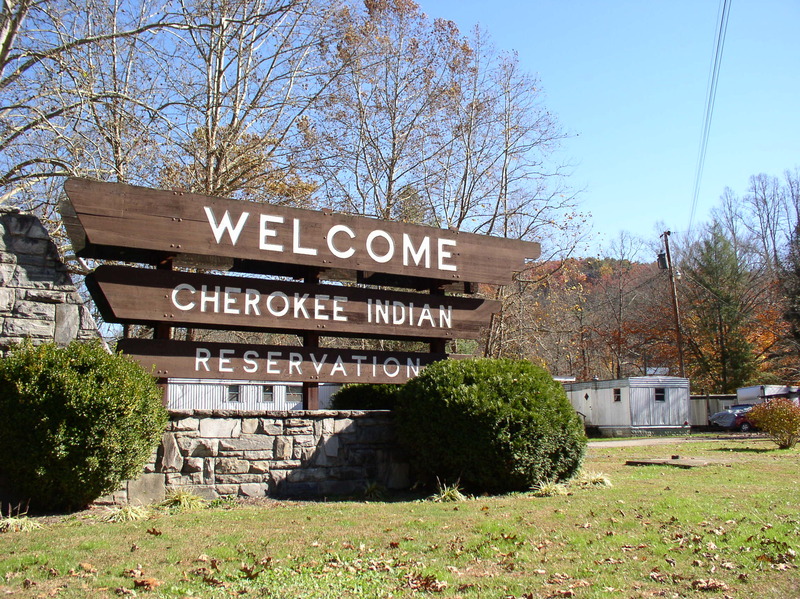 Cherokee is the home of Eastern Band of Cherokee Indians. 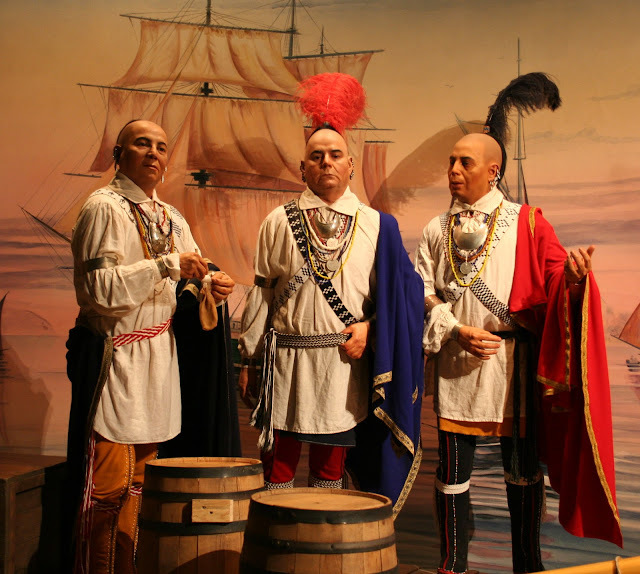 Which is the portion of the Cherokee tribe that managed to avoid being removed from the area during the Trail of Tears. As a tourist magnet Cherokee was happy to give people want they want and went all out with using Native American imagery to sell to tourists. With just a little education about the Cherokee people you start to realize that the portrayal is a little off. Just head over to the Cherokee Museum and they will tell you how off it is. The signs portrayed Indians as they were portrayed in Hollywood Movies, with long flowing head dresses. 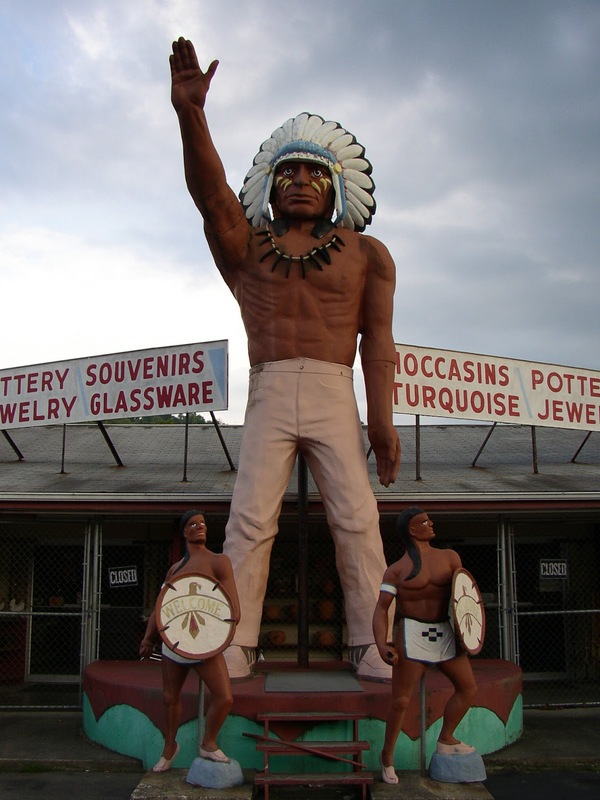 The thing is that the Eastern Cherokee never dressed like this. 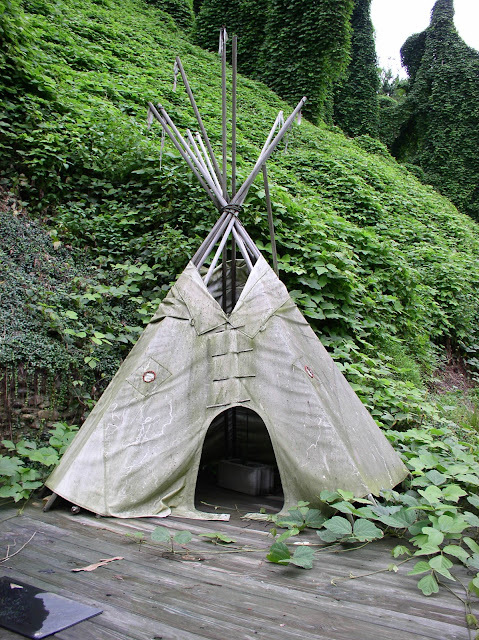 Another thing they never did was live in Teepees, as the Cherokee were not nomadic and lived in permanent houses. Of course, walking around Cherokee you would never guess this. I guess they were just giving people what they wanted. 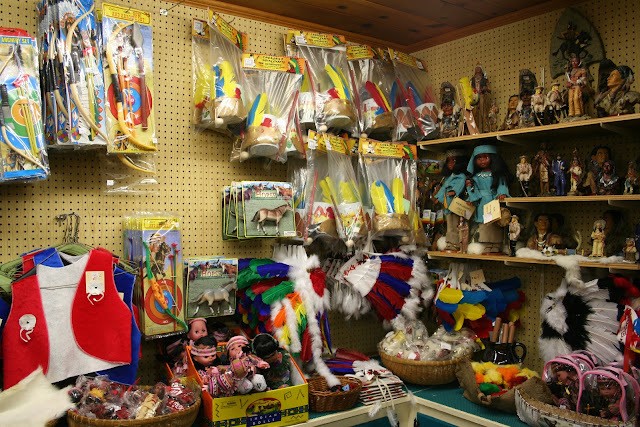 If you were to go into an "Indian Store" this is the sort of thing you would find. There are places that sell authentic Indian crafts, but a lot more that sell "Made in China" Indian goods. 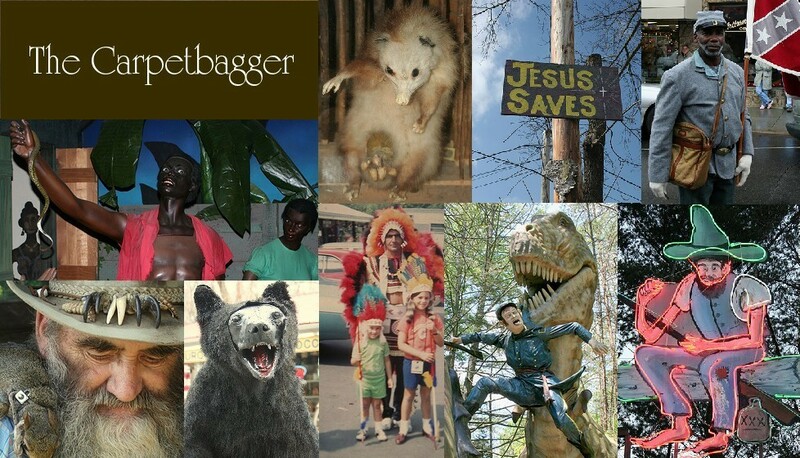 Of course there is a large movement in Cherokee to get rid of these images and ideas and reshape Cherokee to more accurately show Indian culture. There is a new tourist campaign that pushes a more accurate portrait of Indian culture for tourists to engage in. Actually, that one if a little intimidating. The tourist demographic has shifted from families looking to buy plastic Indian toys, to people who want to blow $500 at video poker. That towering Hotel connected to the casino means that gamblers can stay in Cherokee and gamble without ever having to see the light of day. 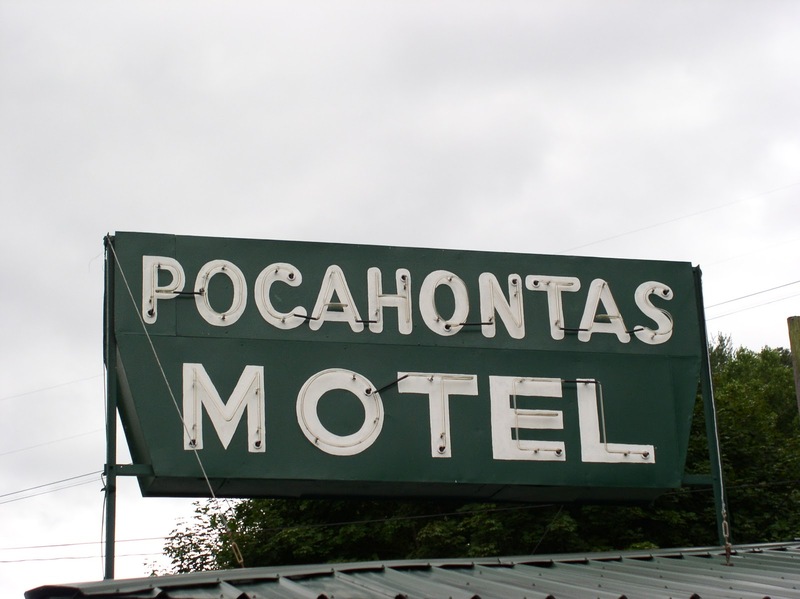 This is causing all the small Indian themed Motels that used to line this street to vanish one by one. 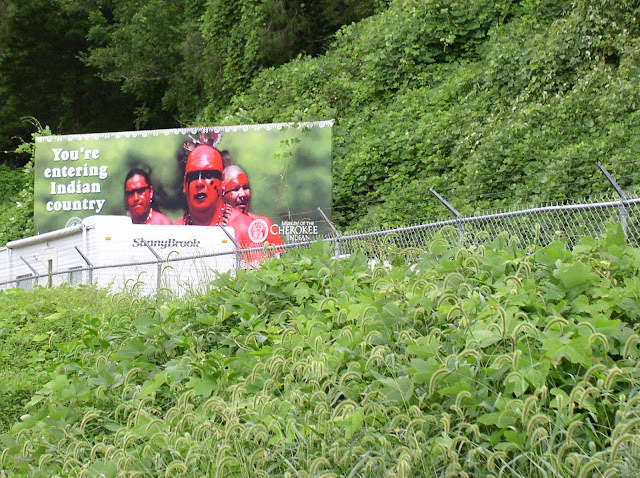 So the stereotypical Indian theme is vanishing from Cherokee. Some may see this as a positive and maybe it is. 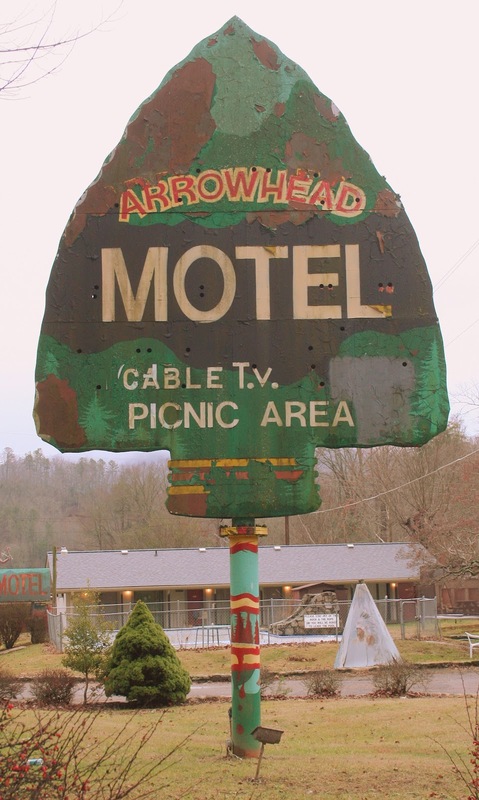 I do think that people need to remember that these images and signs have actually become a piece of history themselves. How many people have passed through Cherokee on family vacations and bought a plastic headdress or had their picture taken with a "real" Indian Chief. 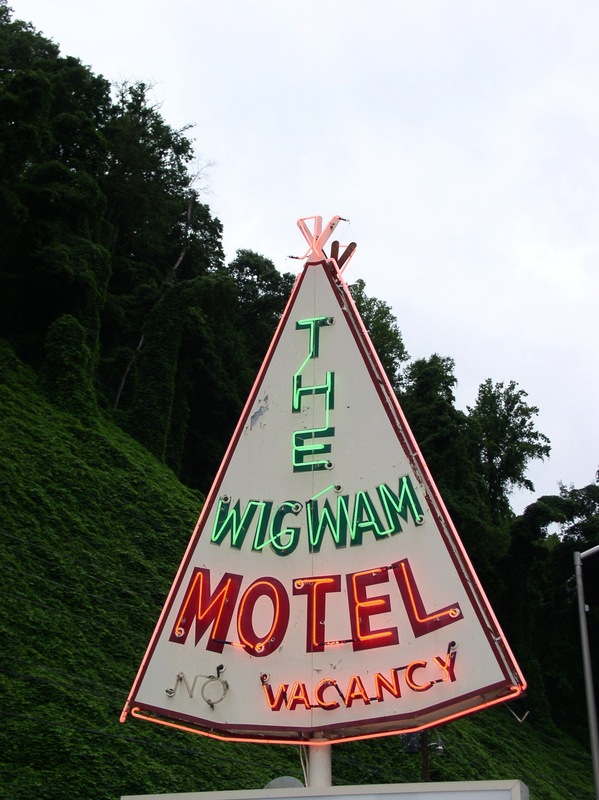 No matter what you feel about these things, for decades they were the face of Cherokee and it serves nobody to pretend that they never existed. 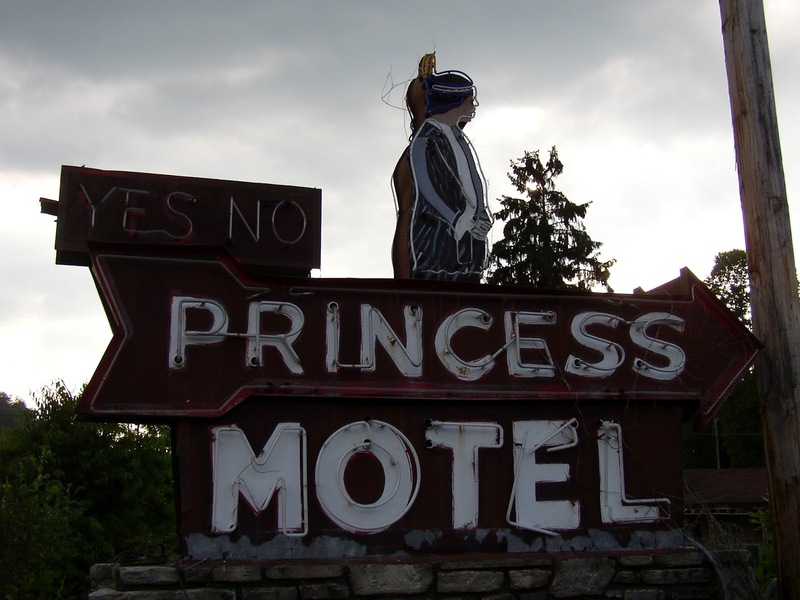 I think it can be acknowledged that these things were silly, possibly exploitive and historically inaccurate, but it will always be a part of roadside history. 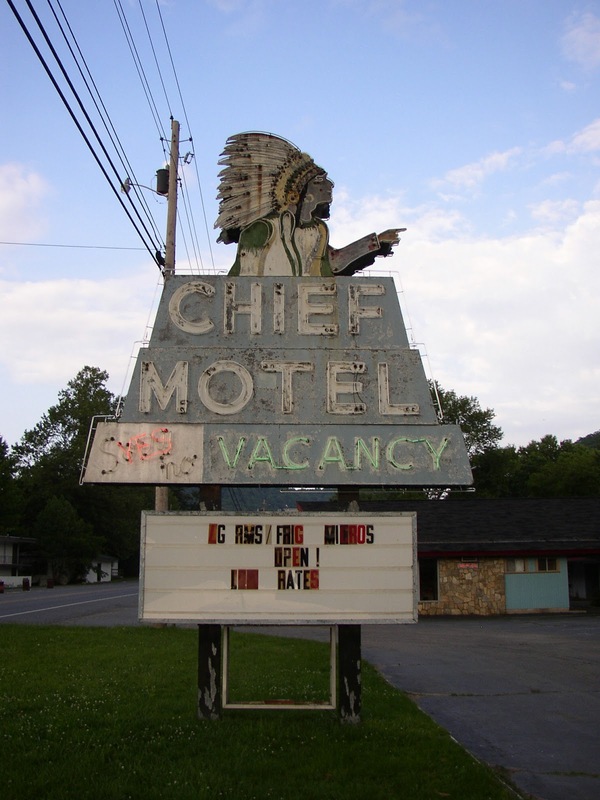 I think there is room for the "real Cherokee", the kitchy Cherokee, and the Cherokee where gamble all your money away in a smoky room with no windows. 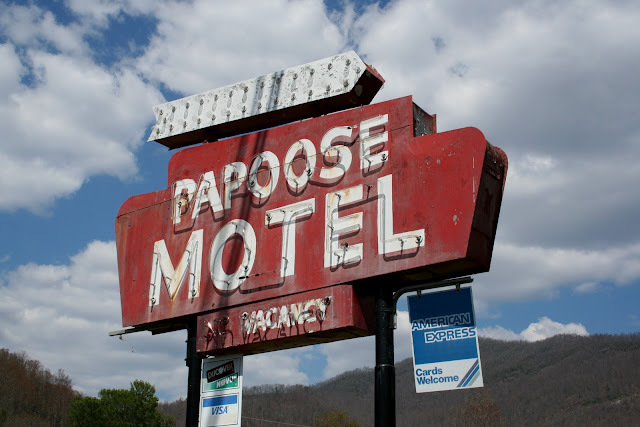 Check out my Flickrs page for more Southern roadside wackiness.